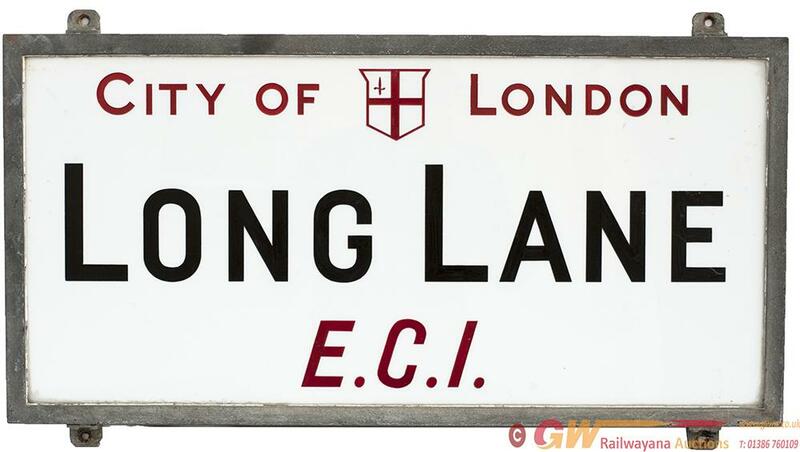 Motoring road street sign CITY OF LONDON LONG LANE EC1. China glass with original zinc plated steel frame. Measures 30in x 15in and is in excellent condition.